To all you healthy peeps I thought I would share this simple recipe that My sister and I came up with. It’s incredibly easy to make and a perfect snack. For those of you not in the know, spirulina is a blue green algae which is rich in protein so you could have this after a workout. 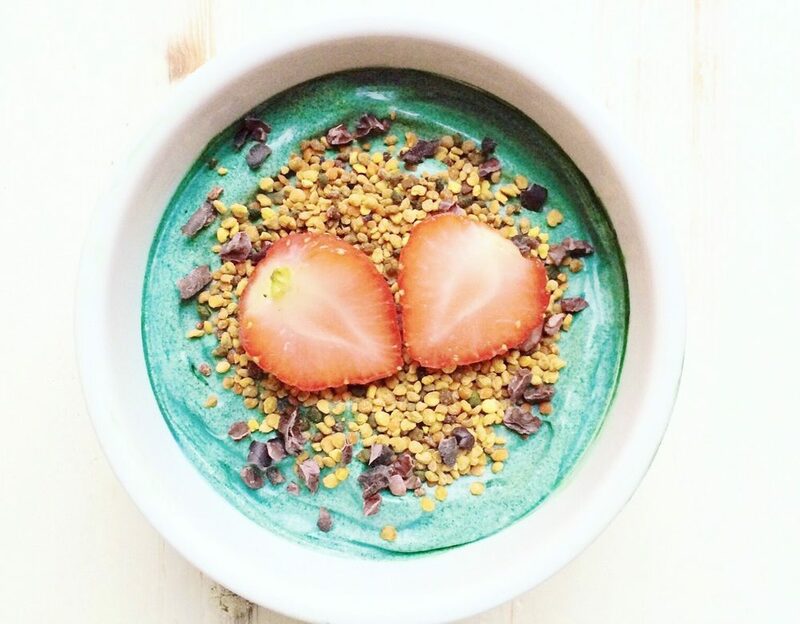 Mix the coyo yoghurt with the spirulina and then sprinkle with bee pollen, cacao nibs, strawberries. You can put any topping of your choice.